Governments and power corporations around the globe, through an incessant drive to make the power grid “more reliable and efficient”, have directly created a situation where our entire civilization’s energy source is now in danger of being taken down. With hundreds of smart grid projects all being installed simultaneously around the world, we’re seeing a globally-orchestrated move to quietly merge the entire power grid with the vulnerabilities of the internet. This deliberate action puts everyone at risk by totally opening the door to hacking. Already, in both simulated and actual hacking attacks, smart meters, power generators and entire utilities on the smart grid have been demonstrated defenseless to hackers. Why and how has this happened? Why have governments and their corporate string-pullers put our entire civilization at risk in this way, in the name of “reliability and efficiency”, even though there has been no demonstrated net energy savings? Keen observers note this as a Hegelian tactic of creating a perception that we need to pass even more legislation in the name of fighting terrorism. Recent laws such as the NDAA legally allow the US Government to fully remove anyone’s civil liberties – and indefinitely detain or even kill citizens – without due process, no questions asked. And in this case, new legislation would be for the specific purposes of “fighting cyber terrorism” – cue the Anonymous image. We’re seeing a new global problem (power grid vulnerability) being artificially created, and a new enemy being propped up (terrorist hackers) before our very eyes. It is critical that we get this – everyone, from the Occupy Movement to Zeitgeist Movement to the “new agers” – so we can respond appropriately and consciously. This starts by individually refusing to have a smart meter installed on our home, apartment building, or work place. And if we already have these devices installed – as the BC smart metering program is half-installed – we need to act and demand they be removed, and outline consequences for non-compliance with the demand. This is done by simply mailing BC Hydro a letter of NON-CONSENT (letter templates on our site or at www.citizensforsafetechnology.org.) Here in BC, tens of thousands have already become aware and have chosen not to participate in this scheme, and it is very simple and easy. Our future freedoms, and even our ability to retain our vitality and our own consciousness, literally depend on our choosing to stand up for life at this time. 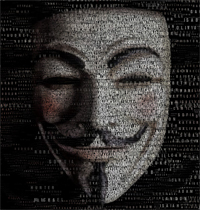 Power Grid Vulnerability: The the entire power grid could be taken down by hackers or as an inside job. Financial Cost: Following a smart meter installation, we’ve seen many reports of bills going up 2, 3, 4 sometimes up to 10 times the original amount, even though usage patterns have not changed. And under the guise of increasing efficiency, power companies will also be implementing time-of-use electricity rates. Further, in the future everyone would be required to purchase all new “smart” appliances, with each transmitting wirelessly, creating an in-home electrosmog soup. Ironically in regions where smart meters have already been installed, including California and the province of Ontario, the has been zero reduction in energy usage. Privacy Cost: Individuals and families are also paying for the smart grid in terms of privacy in their own homes. With the planned RFID-chipping of all consumable products, corporations would wirelessly track usage habits, appliance use and product consumption – down to the microsecond. Private data then gets sold to other corporations for their benefit, so they can better market products to you, which they feel you need. The market value of this data, your private data, is estimated to exceed all advertising dollars currently spent on Google and Facebook combined. Health Cost: A bulwark of hundreds of independent studies now clearly demonstrate that there are negative health effects from this type of wireless radiation, despite assurances from most governments and power companies. 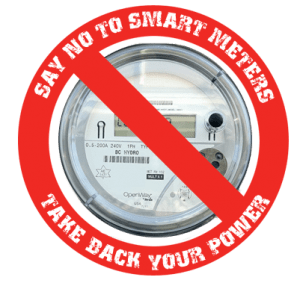 Thousands of people worldwide have already reported serious health problems since the installation of smart meters in their homes, and in 2011 the World Health Organization classified this type of radiation as a Class 2B possible carcinogen. Fires: Also, there have been over 900 reports of fires caused by smart meter installations, in the US and Canada alone. Since these devices are not UL or CSA approved, neither insurance companies nor power companies are taking any responsibility whatsoever for damages. Democracy Cost: Finally we turn to our democratic rights. Laws have been outrightly re-written to suit smart grid implementation, to keep the public unsuspecting, and to silence the voices of scrutiny. The effect many have observed is a complete removal of democratic process. An example is how the 2010 “Clean Energy Act” was passed in BC, designed to pave the way for the smart grid by completely removing the BC Utilities Commission – the public’s voice – from having any input. Laws have been quietly changed in this way in regions throughout North America and Europe. With only the current level of solar technology, the entire planet’s energy resources can be powered by solar photo-voltaic panels… using a land area only the size of Utah. Imagine everyone enjoying a first-world lifestyle, while totally removing fuel emissions, and powering the technology to recycle all waste to its elemental components. 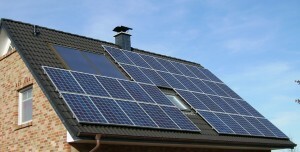 With technology such as solar-powered hydrogen cells, no metered grid would be required at all. A better world truly awaits if we can release the engrained idea of scarcity, and understand that the exploitation of resources is no longer necessary. Today, it is the year 2012, and the world is in crisis. It’s becoming clearly evident that a change in course is required. We no longer have the luxury to allow things to proceed unchecked. The safety and freedom of human life demands that we become aware and active in shaping our future. This is the issue, and now is the time to come together, and to spread encouragement that collectively… we can take back our power. To mail BC Hydro your letter of Non-Consent for a “smart meter”, templates are at: www.ThePowerFilm.org or www.citizensforsafetechnology.org. Please get involved in this issue and spread the word. We can all be a part of this turning tide. Josh del Sol of Vancouver is producing the upcoming film, Take Back Your Power, set to be released this spring. The trailer and other key information about this subject can be viewed at www.ThePowerFilm.org. There is much more at stake here then bill increases, privacy concerns, health issues and last but not least, the risks of fires to properties etc. Insurance Co,’s are not too eager to cover you while your house or business is damaged as the result of the smart meter. But the big concern is; why the hurry to roll these meters out so fast. How about the three chips in side the meter. For what purpose are they there? Is this the start of the N.W.O? Total and complete control? Goodbye!! 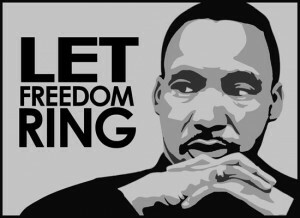 To our freedom (Democracy) . I say to the politicians take the bull by the horns (B.C.Hydro), and let them explain in writing how safe they are from the above mentioned. 1.8 million people are against the meters, there must be a reason. For the past year I have involved myself in research related to the smart meters. These meters are the ” DEVILS ADVOCATE”. We must put a stop to this immediately. If we are to protect the “Charter of Rights and Freedoms” , we need to approach Governments and City Councils and Mayors, who carry the sole responsibility of standing behind those who elected them. Without their support, they do not deserve to be in office. We now are close to 2 million people right here in British Columbia who are against these meters It seems that it rests on deaf ears. Well let us be heard loud and clear. GET RID OF THESE METERS AND PROTECT OUR FUTURE GENERATIONS.